Nintendo has released a trailer for the previously announced Pokémon Sun and Moon pair of games, the latest generation of Pokémon games. The games are set for a November release, commemorating the 20th anniversary of the franchise. The trailer, like the one for last generation (X and Y), features the three new "starter"; a Grass-type owl, a Fire-type cat and a Water-type seal. The trailer also includes two as yet unnamed legendary Pokémon that, perhaps disappointingly, aren't winged unicorns. Of the three new Pokémon, Litten, the fire type cat, seems to be the most popular with furries so far; it's already racked up 67 tagged pieces on e621.net (NSFW, so you can do your own research to verify), compared to Rowlet's 25 and Popplio's 24. So which version of 'Star Fox' is the best version of 'Star Fox'? The Pokémon franchise has been around for a long time. After two decades of tackling many genres, the concept of Pokémon battling arrives, for the first time, in one to which it seems particularly well-suited: the fighter. 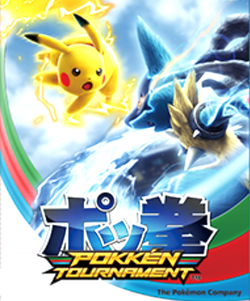 Pokkén Tournament allows you to take full control of 16 different Pokémon in live action combat against your opponent. The game was developed by those experienced in the development of fighter games, and are known for the creation of Tekken. But even with this expertise behind the scenes, can the game rise to the challenge and leave a mark within the niche fighter market? Back in August, Nintendo announced that Star Fox Zero would be coming to its Wii U console Friday after next. Then the game got delayed, so don't line up at your nearest game store next Thursday; you'll have to wait until April 22 of next year. In the meantime, enjoy this new trailer. 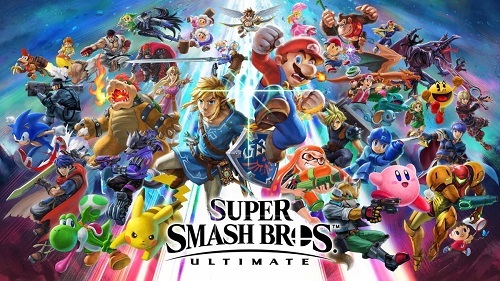 The announcement didn't note why the game had been delayed, though it has long been a Nintendo policy that "a delayed game is eventually good, but a rushed game is forever bad." 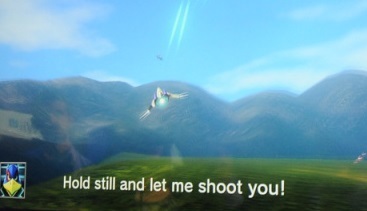 The latest remake in the Star Fox series of Nintendo games, Star Fox Zero, has a release date. The Wii U game will come out this year as promised, on November 20. Also on the same day, an Amiibo figure of Star Fox character Falco Lombardi will be released; Star Fox Zero's newly revealed final box art does promise Amiibo connectivity, but it has not yet been revealed exactly how. 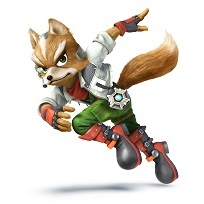 Falco will be the second Star Fox character to gain an Amiibo figure, after series protagonist Fox McCloud, as well as the final character to gain an Amiibo this year. Star Fox Zero is meant to be a showcase of the Wii U's signature gimmick, the GamePad, a controller featuring a separate screen. The Star Fox series has frequently been cast as a Star Guinea Pig, the original game being a showcase for the Super FX graphics chip while the remake Star Fox 64 introduced the Rumble Pak and the now standard idea of force feedback controllers. Update (9/18): And now Star Fox: Zero doesn't have a release date; the game has been delayed until spring 2016. 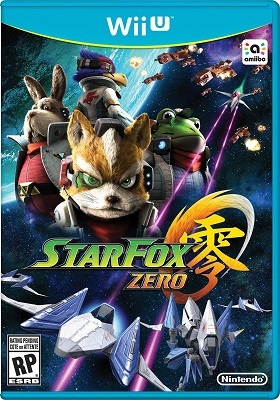 Update (11/12): And now Star Fox: Zero has a release date again; the game will be released April 22, 2016. This news is a year old, but I don’t recall seeing any mention of it on any furry newssite from then until now.. There was a Pikachu Tairyou Hassei Chu (“An Outbreak of Pikachus”) Pokémon convention in Yokohama on August 9-17, 2014 that included a march of 1,000 costumed Pikachus (according to original press releases; it appears considerably less Pikachus actually marched) through the city. Many people took videos of the marching Pikachus, added music including heavy metal tracks, John Williams’ Star Wars Imperial march and old Imperial Japanese Army military marches, then posted them to YouTube. A whopping eight years and an entire console generation since the last original Star Fox game, Star Fox Command (not counting Star Fox 64 3D, a remake of a remake), Nintendo has finally decided to dust off the space-faring furry franchise and give it a brand new game for the Wii U slated for sometime next year. The game, which doesn't even have an official subtitle yet, was announced at this years Electronic Entertainment Expo (E3), though Time magazine (not usually a magazine noted for its video game news scoops) leaked its existence a tad early. Not many details are available at the moment, but the game is being worked on by none other than Shigeru Miyamoto (a.k.a. the guy who had a hand in the creation of almost every Nintendo character you loved as a child). Gaming Furever has released their "Alpha Game Awards" for 2013. Winners include top hits from all platforms, and a special category chosen specifically for furry-focused titles. 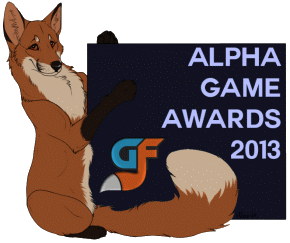 Voted on by the content contributing staff at GF, the awards reflect a years' worth of fantastic games. 2013 has been an exciting year, not just because of new video games, but new consoles as well! There's been plenty of great games (and some pretty terrible games) and as we move into 2014, what better way to bring in the New Year than by looking back? Disney Interactive’s Epic Mickey video game was pretty popular — it even won an Ursa Major Award for Best Anthropomorphic Game. Admittedly, some folk complained about the fact it was only available for the Nintendo Wii system, but it sold well enough to be considered a moderate success in the gaming world. 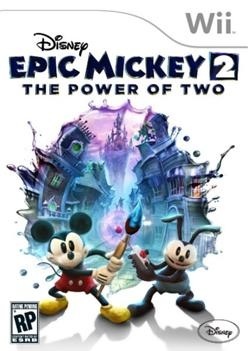 The follow up, Epic Mickey 2? Not so much, in spite of the fact that 2 was made available for many game platforms. 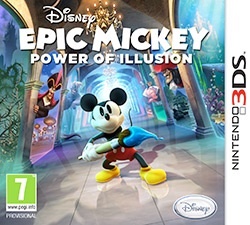 Now comes the word (according to various articles) that sales of Epic Mickey 2 since its November 2012 launch were poor enough that Disney has decided to shutter Junction Point, the Texas-based game design firm that Disney purchased in 2007 to develop both the Epic Mickey games. From this point forward, Disney Interactive will instead focus their attention on Disney Infinity, the new figurine-based multi-character game (similar in some ways to Skylanders) which will premier in June. This game is a nostalgia trip. Much like the original Epic Mickey, it highlights a diverse cast of classic Disney characters that don’t always get the spotlight; sure, there’s a matchmaking questline that unites Donald and Daisy Duck as romantic partners, but there’s also one featuring Clarabelle Cow and Horace Horsecollar. When was the last time you saw those two characters featured? Well, probably the last Epic Mickey game; you also get that nostalgic kick just listening to the opening screen music if you’ve already played the first game. 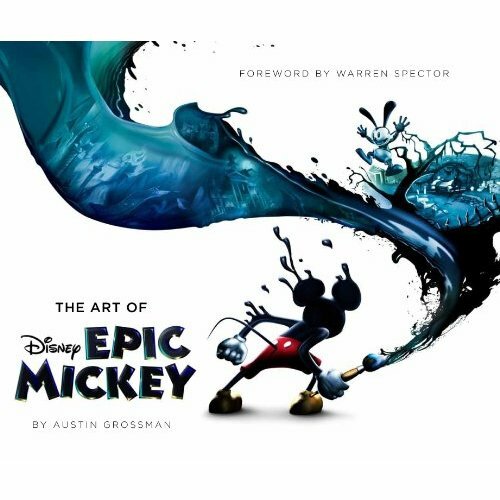 The world of the Epic Mickey, Wasteland, is a bizarre world of forgotten and buried cartoons; at one point, I found myself looking at a bizarre new form of sedimentary rock formed of discarded Disney paraphernalia. It’s a nice place to visit; I’m not sure if I want to live there, though. It’s strangely creepy. And the camera still stinks, too. SPOILER ALERT: I have tried to hide late game plot revelations as best I can, and believe I did an alright job. However, I totally spoil the ending of the first Saw movie after the break.